Welcome to Day #9 of Chocolate and Starches Theme Week. 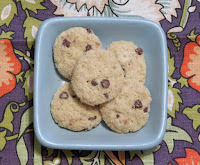 Some starches are delightful, in the cake and cookie form. 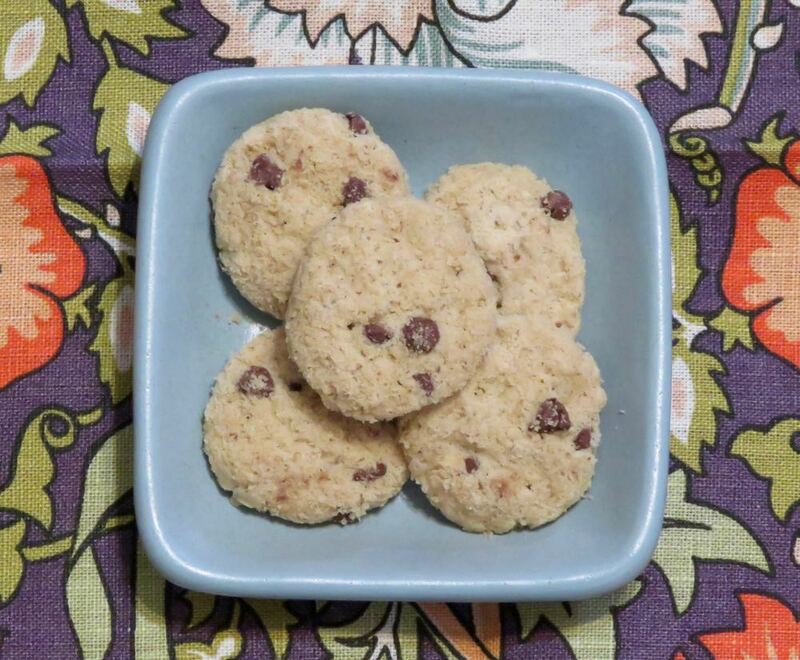 When creating gluten-free baked goods, alternatives to wheat flours and starches often play an important role. 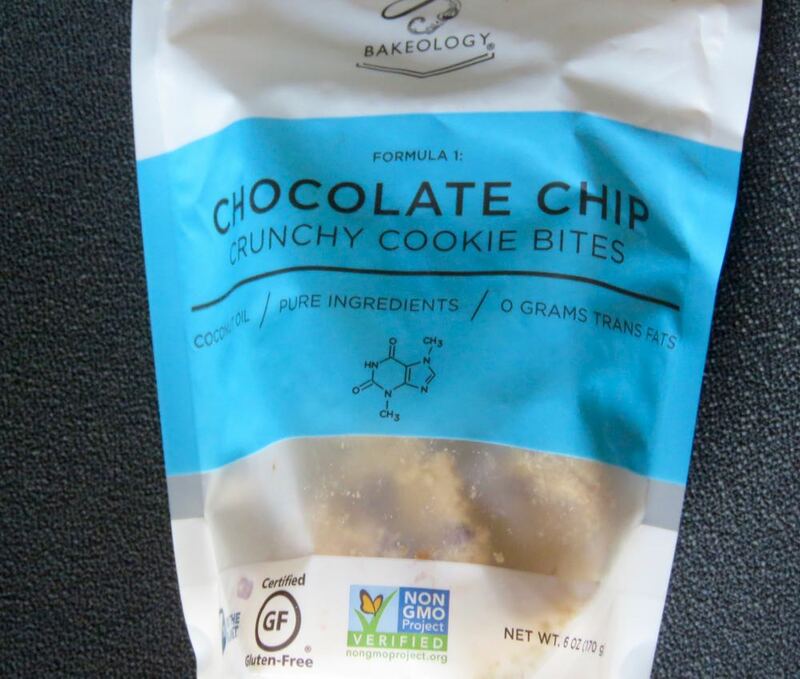 For example, today's "Formula 1: Chocolate Chip Crunchy Cookie Bites," manufactured and distributed by Bakeology, LLC (Malibu, CA), had organic rice flour and organic tapioca starch to thank for their success. 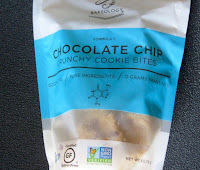 These small crunchy, gluten-free chocolate chip cookies were also vegan and contained no trans fats.